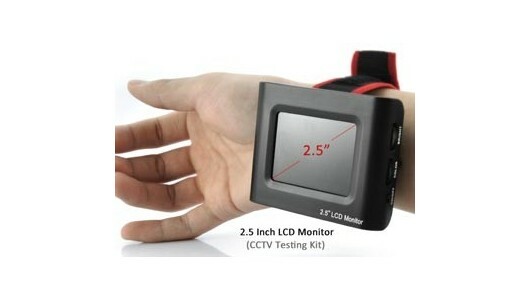 The TESTER-CCTV-W CCTV Tester is a portable, hand-held display unit for CCTV installations. 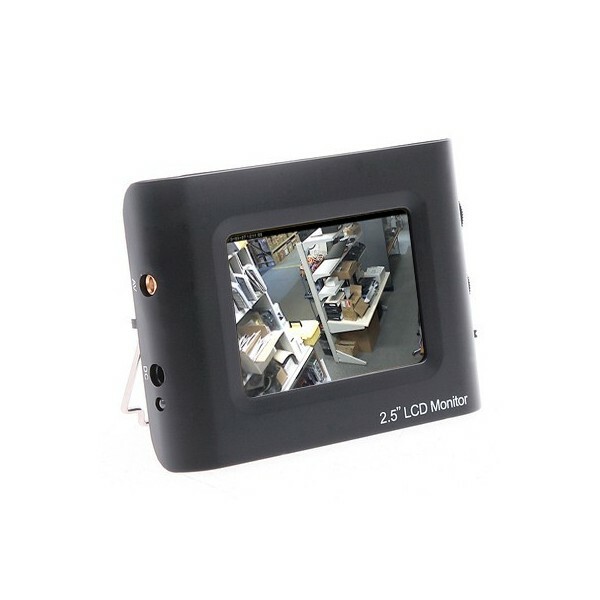 The unit displays NTSC/PAL video on a 2.5" LCD screen with a resolution of 480x234 and enables users to adjust the brightness and color of the video feed on the spot. 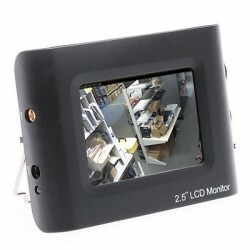 With the unit secured by a wrist strap, CCTV set-ups and testing are easy and hands-free without the hassle of running between a camera and DVR located in separate areas. Compatible with both NTSC and PAL video. Adjust video brightness and color. Compact, hand-held size for easy operation. Wrist strap for secure, hands-free use. Video input: 1.0Vp-p, 75 ohm. Powered by 3.7V Li-ion polymer battery, 1000 mA. Runtime: up to 4 hours. Recharge using 5VDC power adapter (US AC adapter included).